Adrienne and I hold the utmost respect and admiration for Lorraine Spencer, an interracial blogger and pioneer in the IR blogging space. We think so highly of Lorraine that we wholeheartedly agreed that she would be given the honor of serving as the very first guest on our podcast. We simply can’t say enough good things about her: Lorraine is a wife, mother, blogger, author and mentor. 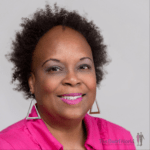 She doesn’t brag on her connections or accomplishments, but she’s worked with the imitable IR blogging pioneer Evia Moore, publisher of Black Female Interracial Marriage (considered one of the “Mother Ships” of Black women’s interracial blogs). Lorraine has also worked with Karyn Langhone-Folan, best-selling author of “Don’t Bring Home A White Boy” fame. The Spider In My Mommy’s Car! I Like Polka Dots On My Pizza! Lorraine also has a book for adults scheduled for release on June 17 entitled When Family Does You Wrong. Her Facebook page “Swirling and Marriage” has hundreds of fans, as does her Pinterest page. For inspirational photos and stories of interracially married couples, read Lorraine’s blog at Swirling And Marriage. 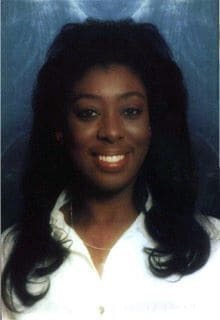 For well-researched, informative and entertaining posts, read Lorraine’s blogs under the pen name “Swirl Queen” over at Beyond Black And White. You can also chat with her on Twitter @ForensicMommy. Lorraine drops knowledge in our podcast with her. What an honor and privilege to have her as our first guest! Copyright © 2014 Michelle Matthews Calloway, ASwirlGirl™, The Swirl World™, The Swirl World Podcast™, All rights reserved. Post contains affiliate links.